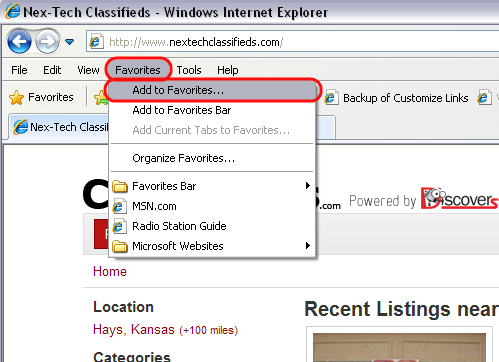 This guide will show you step by step how to bookmark a website in your favorite web browser. 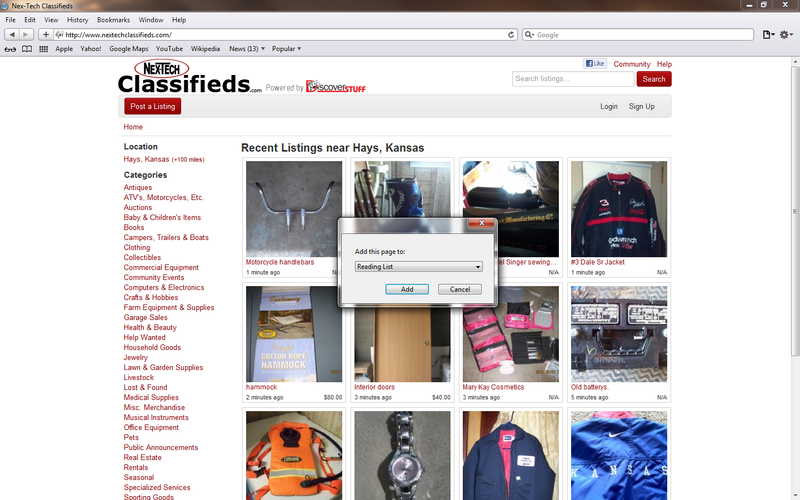 Select the web browser you use from the table below to take you to the correct spot in this article. Once the website is loaded onto you screen, you will click Favorites from the menu in the top left corner of the screen, then click on Add to Favorites. An Add a Favorite dialogue box will then pop up in the center of your screen. It will allow you to name the bookmark if you want to change it to something other than what is typed in their already. There is also a drop down menu labeled Create in: It allows you to choose if you want this favorite located in your favorites list or actually placed on your favorites bar located below the address bar. 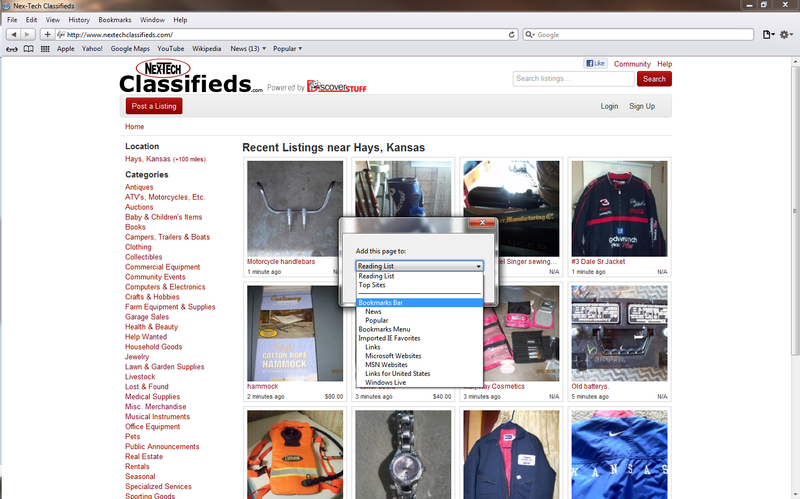 Select where you would like this favorite stored at in the dropdown menu and then click Add. 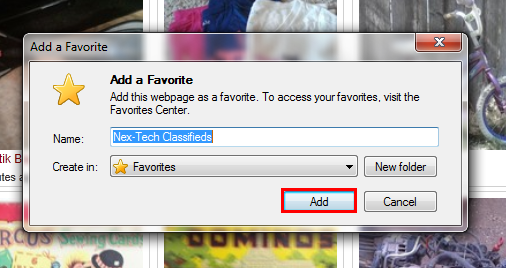 If you chose to have it created in Favorites, you can access it by clicking Favorites located in the Menu Bar. If you chose to have it created in the favorites bar it should now be visible in that bar. 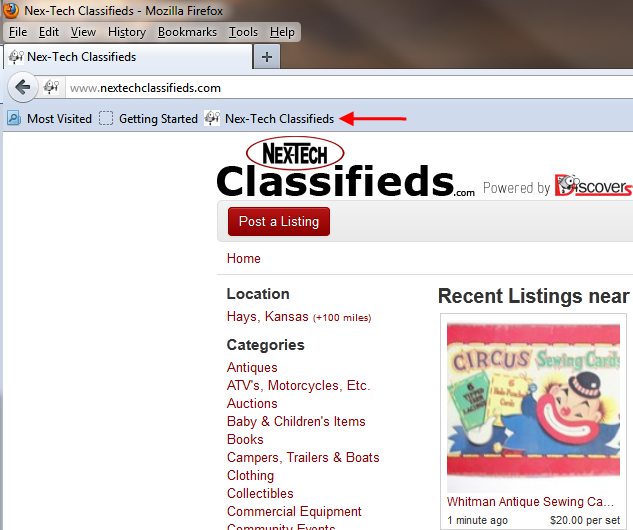 Once the website is loaded onto your screen, you will click the star located in the top right of the screen. A sidebar will now pop up on the right side of the screen. 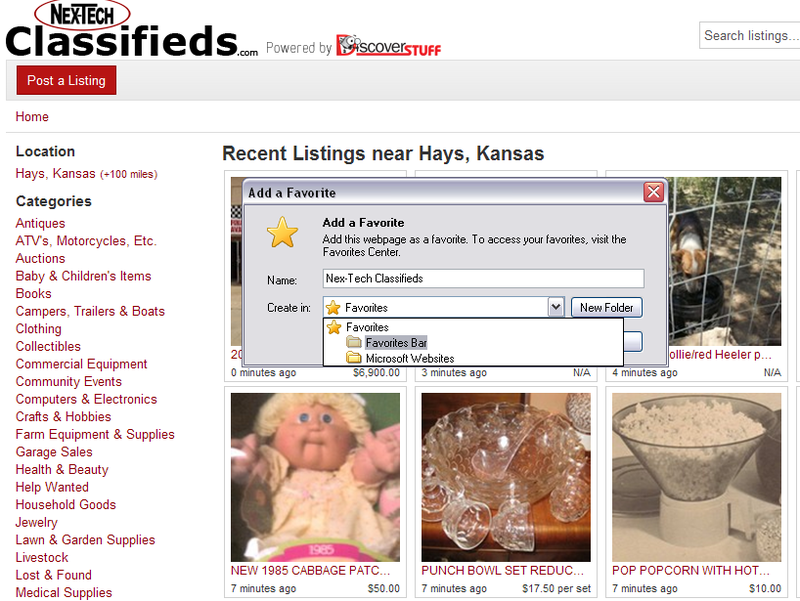 Click Add to favorites. An Add a Favorite dialogue box will then pop up in the center of your screen. It will allow you to rename the bookmark if you wish. 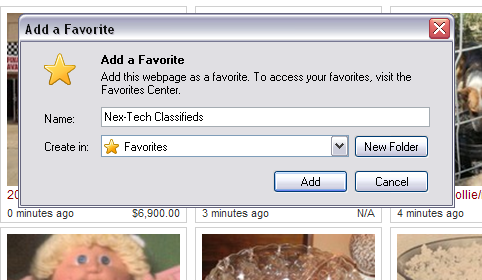 There is also a drop down menu labeled Create in: Make sure that Favorites is selected and then click Add. Click on the star again and you will see that favorite in the list as well as any others you may have. 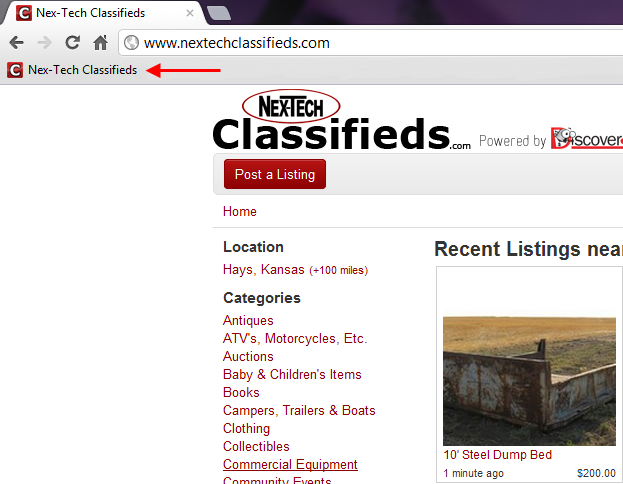 Once the website is loaded onto your screen, you will click the star located at the very end of the address bar. It will turn yellow, click on the now yellow star and it will allow you to rename the bookmark as well as let you choose where you want the bookmark stored. 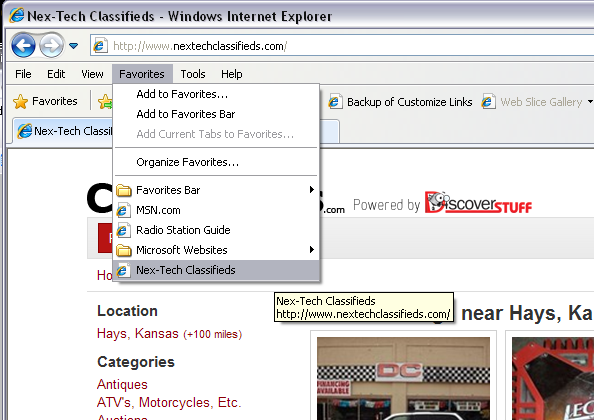 Choose either Bookmark Toolbar or Bookmark Menu and then click Done. 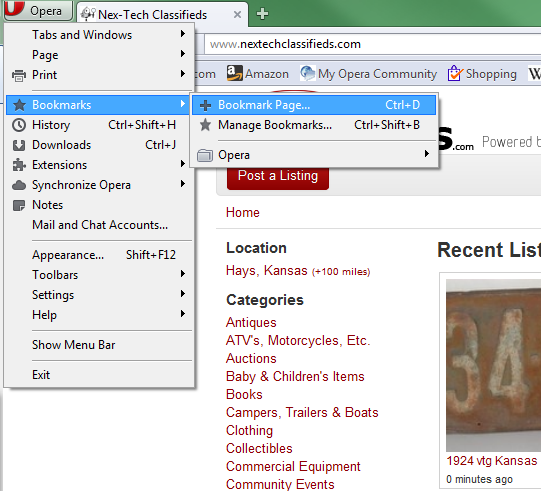 If you choose the Bookmarks Toolbar it will listed on the Bookmarks Toolbar located below the address bar. 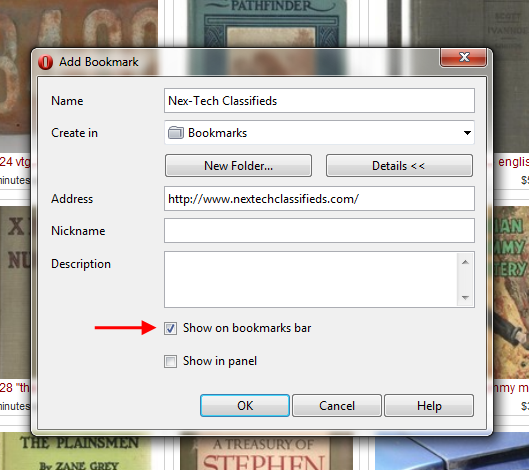 If you choose Bookmarks Menu, you can access it by clicking Bookmarks in the menu up above and access it there. By default Google Chrome doesn't show its Bookmarks Bar, to get it to show, click on the wrench located in the top right of the screen. 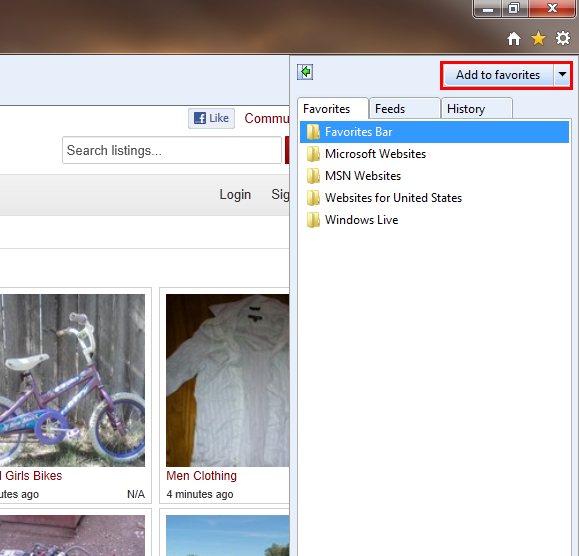 Take your mouse down the menu and hover over Bookmarks, a menu will appear to the left. Click on Always show bookmarks bar. 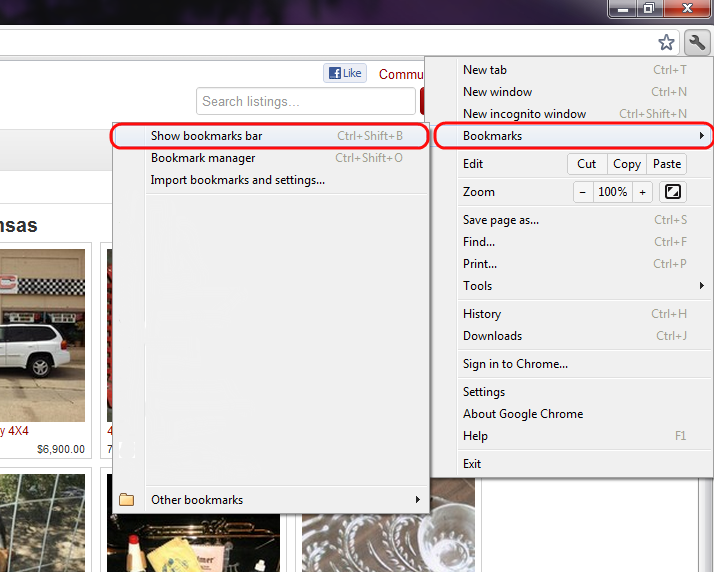 Now the bookmarks bar will always come up whenever you open up your Google Chrome. 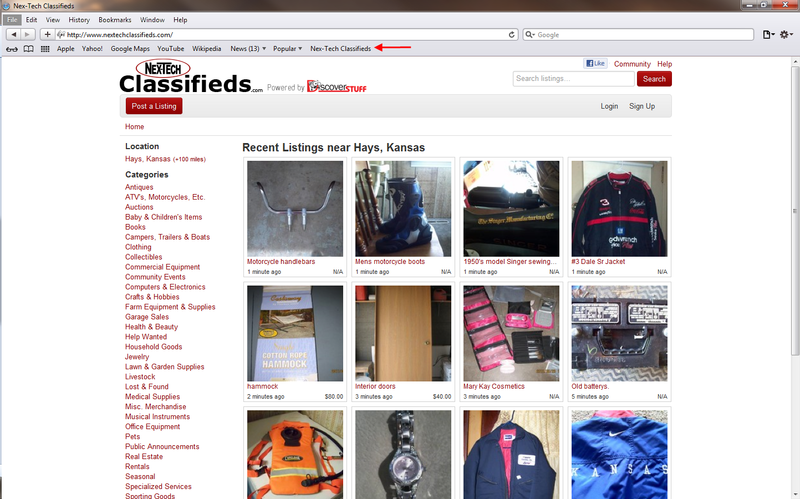 Once the website is loaded onto your screen, you will click on the star near the top right of the screen. It will then say Bookmark Added! 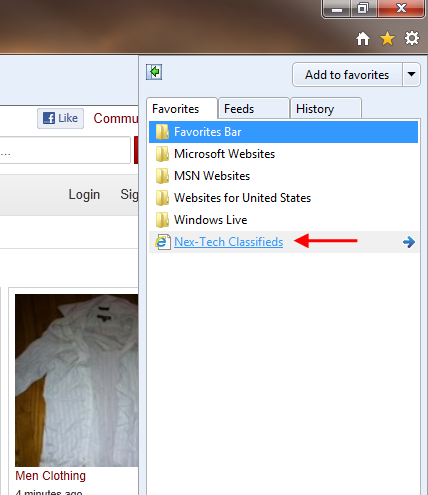 In this box it will allow you to rename the bookmark if you wish and choose which folder to store the bookmark. 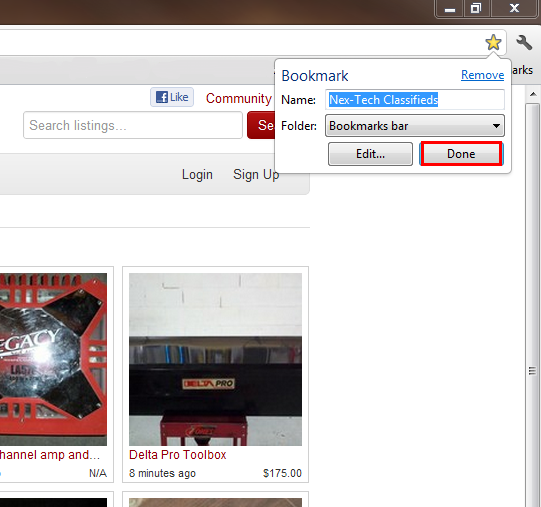 Make sure to select Bookmarks bar and then click Done. The website you just bookmarked will now show up above in the Bookmarks Bar. You can also access your bookmarks by clicking the wrench in the top right of the screen and then hovering your mouse over Bookmarks. By default Opera doesn't show its Bookmarks Bar, to get it to show, click on the Opera button at the very to left of the screen. Use your mouse to go down and hover over Toolbars. A menu will appear to the right. Click on Bookmarks Bar. Now to bookmark your current page. Click on the Opera button at the top right of the screen. Mouse down to Bookmark and select Bookmark page. An Add Bookmark box will pop up on your screen. It will allow you rename the bookmark if you wish. Click the Details button. After clicking Details, it will expand out some more options below it. Make sure to put a check in the "Show on Bookmarks Bar" and then click OK. 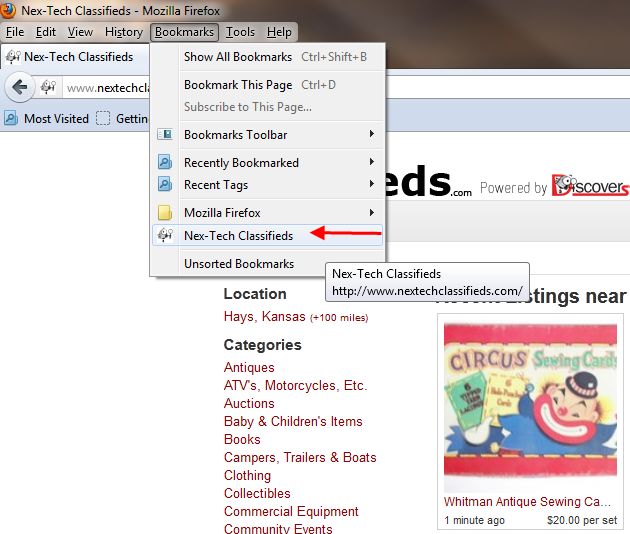 The page you just bookmarked should now be visible in the Bookmarks Bar above. A little dialogue box will pop up on your screen and allow you to rename the bookmark if you wish and then select where you want to store the bookmark. Make sure Bookmarks Bar is selected and then click Add. 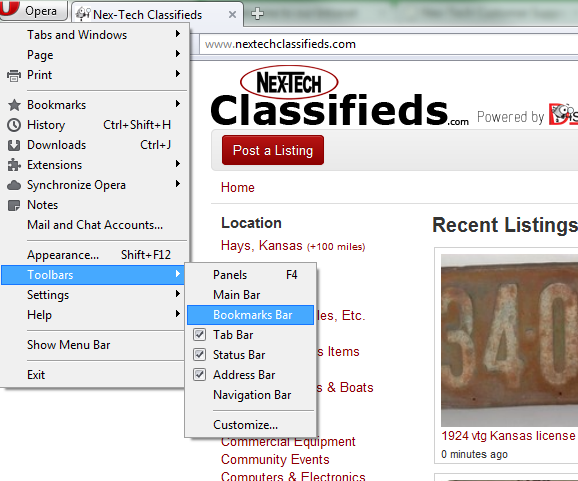 The bookmark is now added to your Bookmarks bar located below the address bar. Posted - Thu, Sep 15, 2011 at 2:47 PM. This article has been viewed 7972 times.